The modern traveller looks for experiences over sight-seeing. Luxury dining in the midst of nature on Royal Livingstone Express train is quite an experience: the fine dining being but one facet of this adventurous journey. 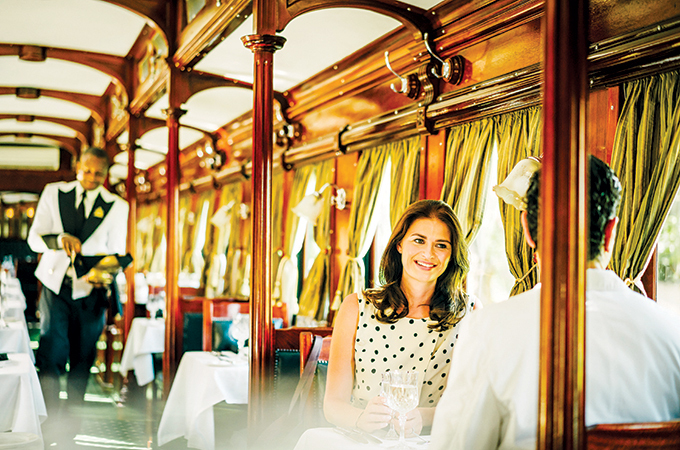 Guests at The Royal Livingstone Hotel by Anantara can experience a one-of-a-kind culinary journey aboard the restored steam locomotive – a five-course fine dining and vintage travel experience from Livingstone in Zambia. Guests relive a bygone era as they relax in lovingly restored Pullman-style coaches. The train makes a stop on the Victoria Falls Bridge located at the border between Zambia and Zimbabwe, just in time for guests to view a remarkable sunset besides the world’s largest waterfall, allowing for breath-taking photo opportunities. Along the journey, guests can marvel at the sight of giraffes, zebras and antelope, while sipping on curated South African grape beverages.